Abu Dhabi: President His Highness Shaikh Khalifa Bin Zayed Al Nahyan, has described establishment of the United Arab Emirates in 1971 as a "dream" that became a "bright reality" for the citizens, the nation, the region and the world at large, adding in his statement on the occasion of UAE's 47th National Day that the Union was a reflection of a "deep desire" held by the citizens and the country's leadership. In a statement to 'Nation Shield', the UAE Armed Forces' magazine, Shaikh Khalifa added that the establishment of the country was a "groundbreaking" initiative by the UAE's Founding Fathers under the visionary leadership of the late Shaikh Zayed Bin Sultan Al Nahyan. ''Today, we celebrate the glorious 47th anniversary of the announcement of our Union and the establishment of our country, a dream that became a bright reality for our people, the nation, the region and the world at large. The establishment of our country was a groundbreaking initiative by our founding fathers under the visionary leadership of the late Shaikh Zayed bin Sultan Al Nahyan. "The Union was a reflection of a deep desire held by our citizens and represented an exceptional harmony between the leadership's vision and the people. This gave our experiment special characteristics as well as the determination to achieve success, and now it has become a global model of development, progress and prosperity. "On this national occasion, and on behalf of the UAE people, I congratulate my brothers, His Highness Sheikh Mohammed bin Rashid Al Maktoum, Vice President, Prime Minister and Ruler of Dubai, His Highness Sheikh Mohamed bin Zayed Al Nahyan, Crown Prince of Abu Dhabi and Deputy Supreme Commander of the UAE Armed Forces, and Their Highnesses the Supreme Council Members and Rulers of the Emirates, who are leading our federal march towards achieving its goals. "On this spectacular occasion, I pay tribute to our martyrs who have embodied heroism and bravery with their sacrifices that we will never forget. They will always stand as proud role models and their names will be engraved in the history of our country. Their families and children will always be at the heart of our priorities, and we will always provide them with all forms of support and care as we appreciate and recognise those who offered their lives and blood in sacrifice while defending their homeland. We pray to Allah Almighty to grant His mercy to their souls. "The second of December is a historic, glorious occasion on which we learn lessons, draw strength and recall the insightful lives of the Founding Father, the late Sheikh Zayed bin Sultan Al Nahyan, and his fellow Founding Fathers, who laid the solid foundations of justice and equality, and dedicated themselves for the good and benefit of the people and country. They also laid down the pillars of a successful modern country where all people enjoy prosperity, security and happiness. With its remarkable achievements and good reputation, the UAE has become a role model for other countries of the world. "The UAE is living today a great period in its history, firstly thanks to Allah, and then thanks to the far-sighted vision of the Founding Fathers, the wise decisions of the prudent leadership and the sincere efforts of its loyal people. The UAE is blessed for having a government that engages citizens in the decision-making and policy-making processes. It has a world-class infrastructure, high-quality health, education and housing services, and highly-efficient justice, security and defence institutions. The government has also built an open society, which works diligently to empower women and enhance the role of the young female leaders. "The UAE has made remarkable achievements at the international level in the areas of competitiveness, innovation, human development, diversity management, labour market efficiency and the rule of law, in addition to other indices that showed the marked progress our country has made in various fields, including the advanced ranking of passport as one of the world's most powerful travel documents. All these achievements reflect the respect, recognition and excellence our country has regionally and globally. "On this great anniversary, we affirm that maintaining the spirit of the Union will remain our top strategic goal, which we strive to deliver through a coherent vision, specific objectives and comprehensive developmental and progressive policies. It is also achieved through regular coordination between the federal and local institutions, and through performing their responsibilities properly. The spirit of the Union keeps our country strong as it implements its free will and holds its distinct place among the nations. "Dear Emirati sons and daughters, our country has smoothly moved from the 'phase of establishment' to the 'phase of empowerment.' Today, it is bracing itself to build and make its own future to reach a brighter tomorrow, whose features have been drawn from 'The UAE Strategy for the Future' and 'The UAE Strategy for the Fourth Industrial Revolution'. The paths for the future were also outlined by the 'UAE Vision 2071', which is a roadmap for the next five decades while moving towards the centennial anniversary of our Union. "The first promising signs of this future have included the announcement of the first two Emirati astronauts to journey into space, and the launch of 'KhalifaSat', the first Arab satellite wholly designed and manufactured by Emirati engineers. These achievements increase our confidence in the future of our nation, which is built by our pride, UAE citizens - the sons of the late Shaikh Zayed. "For us, the country of the future, which we are tirelessly building, is a country of science, innovation, law, leadership, achievement, originality, values and ethics. It is a country that nurtures talented, gifted and creative minds, invests in young energies, conserves its natural resources and biodiversity, and improves its infrastructure. It also seeks to diversify its national economy and increase its competitiveness, gearing up towards the achievement of the knowledge-enabled economy so as to deliver development, progress and happiness. "It is also a country of law, which upholds the constitution, safeguards rights and duties, takes care of community interests and protects its individuals, so that all can live safely, enjoy peace and live in harmony. "Our country is proud of its origin, identity, language and history. It is also proud of its founding fathers, civilisational legacy, Arab culture, national figures and its martyrs. Our country also highly regard ethics and values of honesty, integrity, charity, generosity and helping those in need. There is no future for a nation without morals, and without a coherent society, deep cultural structure, sophisticated system of schooling, and mosques that deepen the tolerant goals of the Islamic Sharia, since Islam is a religion of justice, right, equality, and moderation. "As our country is going through a transformational change, it requires early monitoring of opportunities and challenges, hence, a rapid evolution of policies, legislations and institutions, and encouraging initiative, creativity and innovation, it also requires equal opportunities, and guaranteeing the participation of women and youth. These factors contribute in building an environment that incubates and stimulates progress, accomplishes achievements, and provides high-quality life for the present and future generations. "In addition to that, we seek to maintain sustainability and conservation of the environment, resources and wealth. Our natural resources do not belong to a specific generation, rather they are owned by the nation and its future generations, therefore, these resources should be wisely invested to guarantee the rights of those generations. 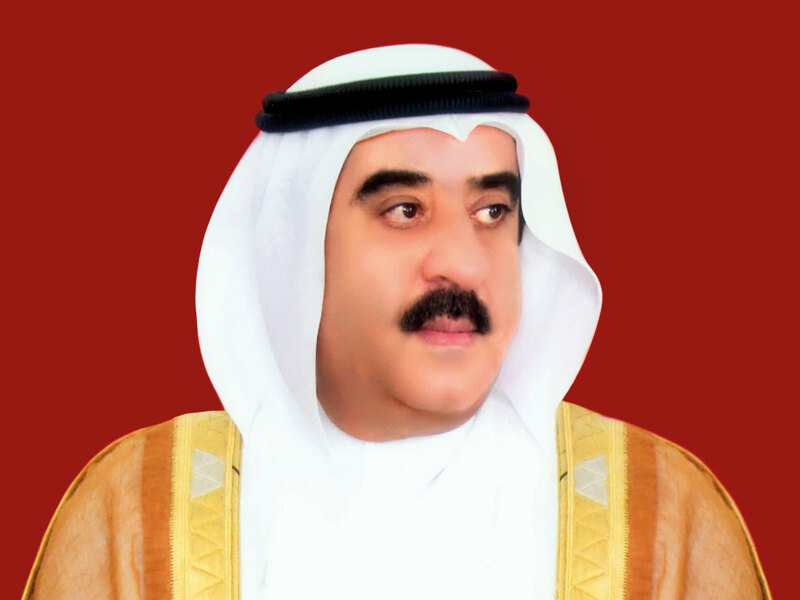 "Dear Emirati sons and daughters, despite the challenges arising from uncertainties surrounding the global economy, we are confident of the vibrancy, stability and attractiveness of the investment climate of our economy, which is based upon political stability, security and safety, investment flows, high resilience and the ability to adapt to crises, coupled with generous government spending on infrastructure, educational, health and social assistance projects. These projects are supported by flexible economic mechanisms and unprecedented economic stimulus packages approved by the federal government. "In this context, we issued, this year, a series of laws to stimulate and attract foreign direct investment, while introducing severe penalties for crimes related to money laundering and countering the financing of terrorism. This legislation and associated policies seek to accelerate production and growth, increase the attractiveness and sustainability of the national economy, raise the contribution of non-oil sectors to the gross domestic product, GDP, improve the level of economic and social welfare for all, and enhance the confidence of the world in our country's leadership and its strength and ability to attract and host creative minds, ambitious businesses and investment. "We also consider the private sector as the crux and driving force of economic activity and the largest contributor to the GDP. We are also confident of its great ability to generate promising job opportunities for the youth, nurture creative youngsters, improves Emiratis' competencies, fund research and development, R&D, and innovation projects, and expands the scope of its social responsibility. "The residents of our country are an important component of our economy and our open, tolerant and culturally diverse community. "Dear Emirati sons and daughters, We believe that a safe, secure country cannot live in isolation from its external surroundings. Our government has launched dozens of foreign initiatives and programmes to improve human living conditions in brotherly countries through the development of health, education, and renewable energy sectors, providing drinking water, fighting poverty, hunger, disease and illiteracy, improving infrastructure, and enhancing financial and monetary stability. "Abu Dhabi hosts the Arab Youth Centre, which seeks to build young professionals capable of serving their communities by spreading a culture of hope and guiding the process of change and making the future. "As part of our continuing efforts and commitment to promoting values of international humanitarian work, the UAE launched the ‘Year of Zayed' to implement projects in many brotherly countries. Last February, we launched the 'Global Councils on Sustainable Development Goals', which seeks to support international efforts to implement the UN Sustainable Development Goals, SDGs, by 2030. "At the same time, we seek to diversify and expand our foreign relations as part of our policy to build a strong network of understandings and partnerships with major and developing countries. This will serve our national interests and support our policies and efforts in various related fields, in particular, countering extremism, fighting terror organisations, drying up the sources of terrorist funding, confronting the interference and greedy ambitions of Iran, and addressing Israeli violations, which seek to deny the Palestinian people their legitimate rights. We also seek to tackle the challenges and threats to Arab and Gulf security so as to end conflicts and crises, and extricate the region from the vicious circle of violence, so that peace, security and stability may be restored. "Our foreign policy is based on deepening the values of tolerance and dialogue, building bridges of communication and cooperation, and to agree on a common Arab strategy that realises the development, security and stability to which our peoples aspire. "We strongly align ourselves with the brotherly Kingdom of Saudi Arabia against any attempts to threaten its unity, undermine its sovereignty, and harm its stature or defame its leadership and people. The Kingdom, under the leadership of the Custodian of the Two Holy Mosques, King Salman bin Abdul Aziz Al Saud, is the place of the first revelation of the Holy Quran, the Qibla (direction) of Muslim prayers, the protector of the two Holy Mosques, the defendant of our Gulf security, and the pillar of peace and stability in the Arab and Muslim worlds. "Any attempt to harm Saudi Arabia also affects our country. Within this context, we strongly stand with Yemen to support the legitimacy and to restore hope to its citizens by working to end the Houthi coup, provide humanitarian and relief assistance to the Yemeni people, and rebuild the liberated areas in a bid to restore security and stability in the country. "In accordance with the principles of our foreign policy, we stand in full solidarity with our brothers in Bahrain, Libya, Iraq, Syria and Lebanon and wholeheartedly support their efforts to counter attempts against their security and unity. "In the same context, we commend our significant diplomatic efforts in realising peace between Ethiopia and Eritrea after 20 years of disputes and conflicts. Our peace-loving country spares no efforts in settling conflicts and making peace in the region - whenever that is possible. It reflects our conviction that regional and international security is integral and that ending conflicts and settling crises as well as establishing peace is the key to protecting peoples from the scourge of wars and achieving security, stability and sustainable development for all. "Dear Emirati sons and daughters, as we celebrate the 47th anniversary of the establishment of our country, we have high hopes and optimism about its promising future. I am proud of a nation where I share its leadership with my brothers, His Highness Shaikh Mohammed bin Rashid Al Maktoum, Vice President and Prime Minister of the UAE and Ruler of Dubai; His Highness Shaikh Mohammad Bin Zayed Al Nahyan, Crown Prince of Abu Dhabi and Deputy Supreme Commander of the UAE Armed Forces, and Their Highnesses the Supreme Council Members and Rulers, Dr. Shaikh Sultan Bin Mohammad Al Qasimi of Sharjah, Shaikh Humaid bin Rashid Al Nuami of Ajman, Sheikh Hamad bin Mohammed Al Sharqi of Fujairah, Sheikh Saud Bin Rashid Al Mu'alla of Umm Al Qaiwain, and Shaikh Saud bin Saqr Al Qasimi of Ras Al Khaimah. They are the spirit of the Union and the conscience of the nation. "I am also proud of a nation where its citizens hold a deep consciousness, and strong will and persistence to protect their homeland, preserve its achievements, defend its rights, continue its development, and raise its profile in various events. "May Allah Almighty guide your steps to deliver more glory, success and progress for our nation," Shaikh Khalifa concluded. Abu Dhabi: His Highness Shaikh Mohammad Bin Rashid Al Maktoum, Vice President, Prime Minister and Ruler of Dubai, has said that the UAE National Day gains special momentum in 2018, as it coincides with the 100th birth anniversary of the Founding Father. "But for Shaikh Zayed, our Union would not have seen the light; nor would our nation have been able to survive the challenges that beset his drive to establish the Union," Shaikh Mohammed said in a statement to 'Nation Shield' magazine on the occasion of the 47th National Day. "While looking into where we have reached, I feel satisfied with what has been achieved on the ground. I thank Allah Almighty for empowering us to secure quantum leaps that fulfill the expectations of President His Highness Sheikh Khalifa bin Zayed Al Nahyan. In 2018, the UAE has continued to make impressive strides across key indicators of international competitiveness, primarily in terms of comprehensive and human development. " Shedding light on some of the significant milestones accomplished over the recent period, Shaikh Mohammad continued to say, "Among other achievements as well are our state departments' rapid and efficient transition to smart government and governance of smart mobility; allowing 100 per cent foreign ownership of companies in the UAE; and granting investors and talents up to 10-year residency visas for specialists in medical, scientific, research and technical fields, as well as for all scientists and innovators to add value to the UAE'S economy by attracting people of advanced skills. "Over the last year we boosted the expansion and diversification of our economy. The contribution of oil & gas activities to the GDP declined to 22.3 percent; and our 2017 GDP surged to Dh1422.2 billion. For the fifth year in a row, the UAE has continued to top Arab countries in terms of Foreign direct investments, FDIs, drawing 36 percent of foreign investment inflows into the Arab world though foreign capital inflows across the world dropped by 22 percent. "Last September we approved a budget of Dh180 billion over the next three years, including a substantial increase in 2019 spending. Next year's budget will be the biggest in the history of the Union, 59 per cent of which would be allocated for education and community development. Citizens are our top priority. We have allotted the bulk of the budget to ensure their prosperity, health, education and security." Highlighting the UAE's growing status globally, the Vice President said, "Last year, there was a significant increase in the number of countries welcoming UAE nationals without prior visa requirements, a new indication of the prestigious position held by our country globally." The cabinet, at the directives of UAE President His Highness Shaikh Khalifa Bin Zayed Al Nahyan , approved the National Policy for Senior Emiratis to ensure elderly Emiratis remain active members of society and have access to the services they need, Sheikh Mohammed added. The policy is built upon seven main components: healthcare, community involvement and active life, effective civic participation, infrastructure and transportation, financial stability, safety and security and quality of life. Shifting to the country's landmark space achievements, Shaikh Mohammad said, "Our achievements are too many to count here but they absolutely speak for themselves across all fields. However I will stop at our most recent achievement - the success of our national cadres in building the KhalifaSat which successfully lifted off into space. I spotlight this significant milestone as it is, in no uncertain way, an exceptional accomplishment abounding in special indications for us. It is a new affirmation of the merit of our vision, the efficiency of our plans, and the successful implementation of our projects. It is a testament to our country's efficient science, technology and innovation policy. With diligent work, an in-depth scientific approach, perseverance and team spirit, we have been able to make what many considered bordering on impossibility. "With the launch of KhalifaSat, the country has ushered in a new era within its ambitious journey to deliver the future. Our determined effort to become one of the leading countries in the space industry is yielding results. The future of our beloved country as a hub for innovation lies in the hands of its energetic youth who never settle for anything less than perfect. "On that day, UAE started a new leaf to scale fresh heights and make great strides in the space sector. We have agreed to build national competencies who can continue this path of glory and promote our international position in the space sector in line with our national interests and the scientific objectives humanity seeks to achieve in this area. "The KhalifaSat team has made this achievement, laid the foundation stone, and paved the way for other Emirati engineers to continue this track record of achievements. We are positive that they will spearhead the country's developmental march in the space sector to unprecedented international levels. "We've realised early enough that those who won't manage to carve a niche in the space would have no place on earth along with developed nations and peoples. Thus, we have incorporated space science into a constant focus of our strategies, and have developed plans and programmes to ensure that our country ushers into the space age. When we set up our space center 12 years ago, the participation of our national cadres in our first project, DubaiSat-1, stood at the limits of learning and acquiring knowledge. At DubaiSat-2, Emiratis' contribution to our construction has reached 70 percent. Then came KhalifaSat, which we launched last October, and built entirely with the minds and hands of UAE scientists and engineers. "Today, the United Arab Emirates Space Agency, UAESA, represents a full-fledged national space sector across the country, with the UAE astronaut programme will witness a milestone in April, 2019, when the first Emirati astronaut is due to blast into space, making the UAE one of only a handful of states in the Middle East to have sent a person into space, as it looks to make good on a pledge to become a global leader in space exploration. "Yahsat as well is continuing to connect communities across the globe, supporting the UAE in space with a third satellite. The UAE's involvement in space reached another milestone with the launch of the nano-satellite, MYSAT-1 which was built by Khalifa University students at the Yahsat Space Lab and went on board a Cygnus rocket two weeks ago after a successful launch in Virginia. In the meantime, our students are working on the development of the satellite "Mizn Sat", which is set to be placed on its orbit by the end of this year to study the Earth's atmosphere and collect data on levels greenhouse gases emissions in the UAE, therefore providing important information on climate change and contributing to the necessary preventive measures." Continuing to highlight the country's space accomplishments, Sheikh Mohammad said, "The UAE has also recently become the first Arab country to announce its embark on space exploration. The UAE's unmanned probe, named "Hope" to Mars will study the planet's atmosphere. The probe will be designed and built by Emirati engineers. Coinciding with UAE's 50th anniversary, Hope will enter Mars orbit by 2021. "While our space industries offer a vivid example of the success of our Emiratisation efforts, it is not the only model. Other successful examples manifest themselves in the fields of atomic energy, clean energies, applications of Artificial Intelligence, industries in general, and defence and aviation industries in particular. "As we have successfully built a world-class infrastructure and a digital architecture that complies with best global practices, we are determined and able to complete the UAE's scientific infrastructure." 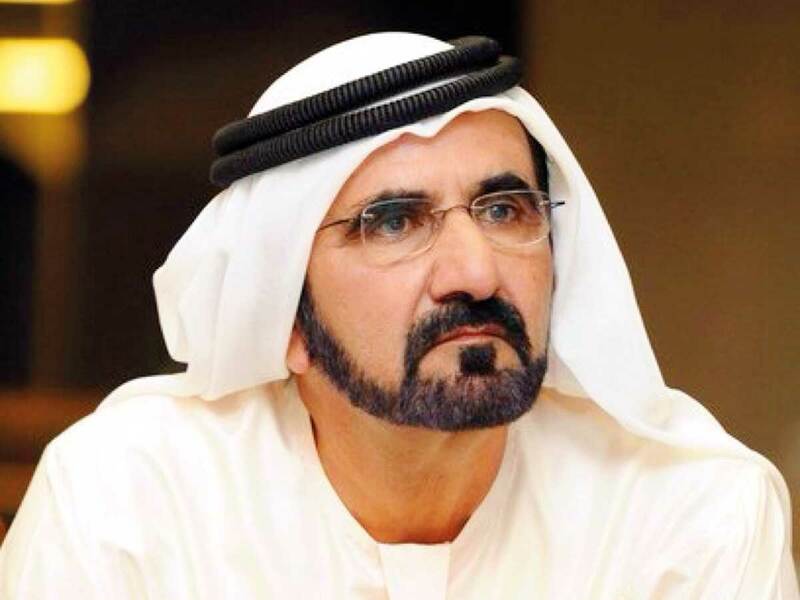 Shifting to the geopolitical scene, Sheikh Mohammed said, "We have a direct interest in and obligation for establishing peace and security in our region, extinguishing the hotbeds of tension, obliterating sources of extremism and restoring the sublime values of our religion and quintessential moderate culture, rejecting violence, extremism, militancy, inertia and isolationism, and promoting justice and equity, supporting the oppressed and relieving the needy. Within the framework of these supreme interests, we move and act, realising the interdependence of security and stability of our GCC states and the Arab world, and the oneness of our destiny. "Our Arab world has paid a heavy price for disregarding these obligations. The price is not limited to the apparent destruction, and disintegration seen in some Arab nations, and the killing and displacement of some Arab societies; but it rather extends to the future of these nations, and the foreign meddling into their internal affairs, as well as the complexities facing efforts being made to build a comprehensive Arab discourse to meet current and future challenges. "We in the UAE are not abandoning our commitments and we are working with our brothers to stop further deterioration; to establish solid foundations of a new positive reality in the Arab world; and to give hope to tens of millions of young people that their reality is improving and that their future abounds in opportunities. "Two years ago, I spoke about the possibility of resuming the Arab civilisation as other nations did and resumed their own civilisations after a break. I said that we have natural resources, but we lack the will and the right model of management at the level of governments, economy and people. I understand that the situation in a number of our Arab nations is not that good and that the mechanisms of joint Arab action are almost inoperable. I know that the image of the Arab world has become darker after the disasters generated by the 'Arab Autumn' in a number of Arab countries. "However, I still see light at the end of the tunnel. In the Arab world, there is a growing awareness of the requirements to promote civil peace, to approach development and progress, and to build a strong state that is fortified with national unity, law, justice, transparency and equal opportunities. I have a deep conviction that the achievements made by the UAE and by other Arab states can be copied and even outnumbered in a few years in all Arab countries. Today, our world is undergoing a significant transition that may take twenty or thirty years or more or less. These years are enough for those who have the will and the right management to improve. This is an opportunity for us in the Arab world, and we must seize it and join other states, like China, Japan and India." Doubling on the importance and necessity of improving performance to preserve the country's national gains and scale further heights over the coming years, Shaikh Mohammad said, "I take the opportunity of the 47th National Day, to remind myself and remind you that the Golden Jubilee of the Union is only three years ahead from now. Three years during which we must complete the objectives of the National Agenda 2021. We all need to redouble our efforts and accelerate the completion of our projects. The themes of the agenda are not rigid or static, but rather moving and evolving in a multi-faceted, fast-paced world." His Highness Shaikh Mohammad Bin Zayed Al Nahyan, Crown Prince of Abu Dhabi and Deputy Supreme Commander of the UAE Armed Forces, said that celebrating National Day is a "message of duty and renewal of loyalty" to the nation and its founders for their efforts to realise the dream of the Union. In a statement to Nation Shield, the Armed Forces' magazine, marking the UAE 47th National Day, His Highness added that the celebrations are also "a message of determination to continue working to preserve the achievements of our united nation, strengthen its pillars and always fly its flag high." "Our celebration of the National Day is a message of duty and renewal of loyalty to our nation and its founders for their efforts to realise the dream of the Union. It is a message of determination to continue working to preserve the achievements of our united nation, strengthen its pillars and always fly its flag high. The 47 years since the United Arab Emirates was established embody development, success, progress, achievement, determination, willpower and overcoming of challenges in a spirit of unity. They reflect the power and ability of Emiratis to contribute positively to the march of human progress. On this national anniversary, we remember with pride, appreciation and loyalty the early founders of our state under the leadership of the late Shaikh Zayed Bin Sultan Al Nahyan, who laid the foundations for the advancement of the country and the establishment of the UAE. We also reflect on our subsequent achievements and success stories, and pledge to continue the march with strength and faith so that our nation remains as Shaikh Zayed and his fellow Founding Fathers intended - strong and resourceful, thanks to the wisdom of its leaders and the willingness of its people to make sacrifices. We believe that the true wealth of the country is human wealth, that the UAE is entering the Fourth Industrial Revolution and the age of artificial intelligence, armed not with money and oil, but rather with educated and qualified Emiratis who possess the skills of the time. Our people possess the ability to innovate and create through science and technology in an era of rapid transformation, where knowledge has become the basis of wealth, and technology the standard for excellence. Civilised peoples and societies do not forget their leaders who laid the foundations for their glory, pride and progress. They celebrate them and cherish their memory, and continue to seek inspiration from them. 2018, which was the 'Year of Zayed', was an occasion to highlight the extraordinary leader's achievements and showcase his efforts, thinking, sacrifice and insight that were well ahead of its time. We marked the Year of Zayed to celebrate our Union and consolidate its success. We have absolute confidence that the UAE will continue to make rapid strides and that its Golden Jubilee in a few years' time will be a celebration of its continued success. The UAE's structure is firm, and over the years we have focused on building our human assets, based on Sheikh Zayed bin Sultan Al Nahyan's belief that Emiratis are the nation's most valuable resource. Today, this same philosophy guides our vision for development and defines our priorities and objectives in the era of His Highness Sheikh Khalifa bin Zayed Al Nahyan, President of the UAE. The Year of Zayed 2018 was an occasion to celebrate Zayed's sharp thinking, his philosophy and insight and his genius in governance and leadership. We need to keep this rich heritage alive in the minds of future generations, because the Zayed school is a source of infinite wisdom, with valuable lessons for the present and the future. The most important Zayed lesson is that unity, patriotism, hard work, good planning and clear vision is the recipe for progress and continued success. On this glorious day, we pay tribute to our brave armed forces, the pillar of our nation. We pay tribute to our heroic sons who are stationed in brotherly Yemen in defence of justice and legitimacy, and in support of our Yemeni brothers and their right to live in dignity, safety and security. The sacrifices and heroic deeds of our armed forces in Yemen and other fields of action will remain inscribed in UAE history, bearing witness to the courage of our soldiers and our continuing policy to support our brothers against injustice and tyranny. On this great day, we remember our brave martyrs who sacrificed their lives so that the UAE flag continues to fly high. We salute their mothers, fathers and other loved ones who planted in their hearts a love of their homeland and the willingness to sacrifice for it. The UAE, on its 47th National Day, is moving resolutely towards the future, relying on its own children, its self-confidence and its abilities. The nation forges ahead, imbued with the spirit of unity that binds its people closely. Each year we celebrate our National Day, feeling proud of our achievements in the preceding year and looking forward with hope and optimism at the coming years. Today, every Emirati and every Arab is proud of the UAE's unprecedented achievement in 2018 - the launch of the entirely UAE-made satellite, KhalifaSat. We are also set to send the Hope Spacecraft to Mars by 2021. We believe that investing in our citizens is the best investment of all and that we can build a diverse economy in preparation for the post-oil era by developing the skills of our people in order to continue our march to the top." The UAE, with its great cultural achievements, offers hope to every Arab citizen, especially the young. It sends out the message that the Arabs are capable of success and excellence and can compete globally. What the UAE manages to accomplish ends up becoming a source of inspiration for the entire region, and a source of pride for every Arab. The UAE's achievements add to the rich civilisational gains of the Arabs, despite attempts to distort their image, undermine them and spread despair and frustration in the region. The UAE's success will enable it to triumph at all levels. It will reassure the world that what extremists and terrorists convey about the region is distorted. It will instead prove that hope, achievement, openness, tolerance and hard work is all that it takes to advance. Since the launch of the Emiratisation programme by President His Highness Sheikh Khalifa bin Zayed Al Nahyan in 2005, the UAE has made significant strides in supporting citizens' participation in public affairs. The 2019 parliamentary elections are a further indication of the leadership's deep belief in the Federal National Council's role in the process of development. The positive cooperation between the Federal National Council and the Government over the past years has been an expression of the spirit of national responsibility that governs the work of the Council and affirms the uniqueness of the UAE as a safety valve for its security, stability and development. The UAE is a stabilising and peaceful force in the region and globally, owing to its balanced foreign policy, which is based on solid foundations that have earned it respect, appreciation and influence. The UAE is keen to enhance its relations with its brothers, stand by them and to protect Arab interests and the right of current and future generations to live in security, peace and stability. It is also committed to building effective partnerships based on respect, trust and mutual interest. We are also keen to engage positively in every regional or international effort aimed at confronting the threats to humanity, particularly extremism, terrorism, poverty, ignorance, disease and climate change, among others. This is based on our belief in the common human destiny and that the challenges facing the world can only be addressed through a collective effort. In addition, the UAE seeks to encourage dialogue among different cultures and civilisations in the world, in order to promote peace and coexistence. As a result, it has become a shining example of tolerance, moderation and openness thanks to the system of cultural values adopted and disseminated internally and externally. The UAE is now viewed worldwide as a modern and responsible state that addresses the trends of intolerance, racism and extremism in a world that is suffering strongly from the dangers of sectarianism and racism that threaten coexistence and peace among its peoples." In conclusion, I would like to take this opportunity to extend my warmest congratulations to President His Highness Shaikh Khalifa Bin Zayed Al Nahyan, His Highness Sheikh Mohammed bin Rashid Al Maktoum, Vice President, Prime Minister and Ruler of Dubai, their brothers, Their Highnesses, Members of the Supreme Federal Council and Rulers of the Emirates, and to the UAE people, on the 47th National Day, wishing our dear nation further development, stability, and progress." His Highness Dr Shaikh Sultan Bin Mohammad Al Qasimi, Supreme Council Member and Ruler of Sharjah, has said that the Founding Fathers' consensus on establishing the UAE Federation signified a "vision that anticipated the future". 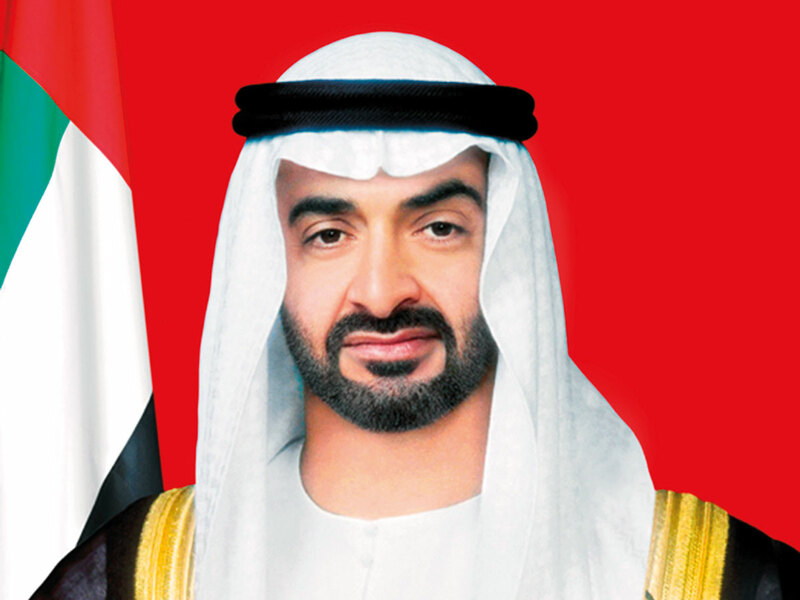 In a statement to 'Nation Shield', the Armed Forces magazine, on the occasion of the 47th National Day, Dr Shaikh Sultan congratulated President His Highness Shaikh Khalifa bin Zayed Al Nahyan and Their Highnesses the Supreme Council Members and Rulers of the Emirates and the people of the UAE. "We always wish our country further development, progress and prosperity," Shaikh Sultan concluded. His Highness Shaikh Humaid Bin Rashid Al Nuaimi, Supreme Council Member and Ruler of Ajman, has said that the UAE has gained global respect and appreciation for its "moderate and resolute foreign policy". Speaking to 'Nation Shield', the UAE Armed Forces' magazine, on the occasion of the UAE's National Day, Shaikh Humaid Al Nuaimi said, "We are proud to celebrate the 47th anniversary of the UAE's National Day, a dear occasion for all of us marking another milestone reached in the history of our beloved homeland." "On 2nd December 1971, the Rulers of the UAE have transformed the dream into reality with the launching of the first unique federal experience in the Arab world. On this occasion, I extend my deepest congratulations to President His Highness Shaikh Khalifa Bin Zayed Al Nahyan, His Highness Shaikh Mohammad Bin Rashid Al Maktoum, Vice President, Prime Minister and Ruler of Dubai, His Highness Sheikh Mohamed bin Zayed Al Nahyan, Crown Prince of Abu Dhabi and Deputy Supreme Commander of the UAE Armed Forces, and Their Highnesses, Members of the Supreme Council and Rulers of the Emirates. 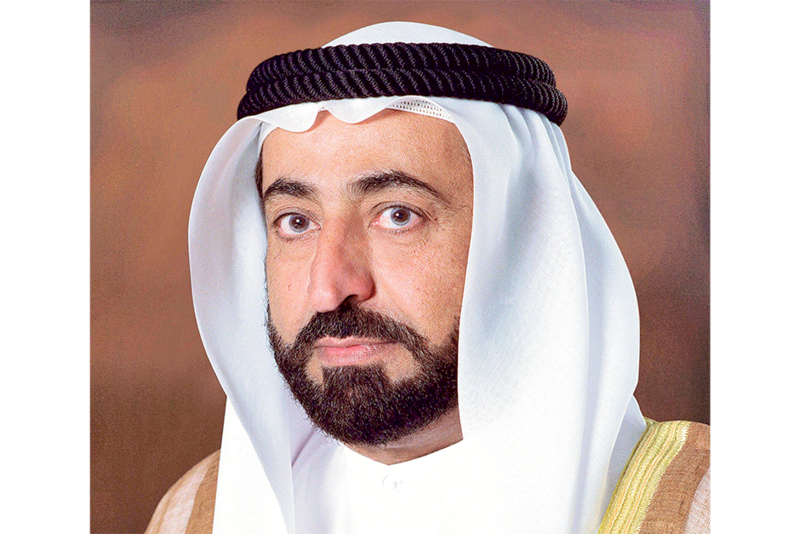 This year's celebration coincides with the centennial anniversary of the birth of the late Shaikh Zayed bin Sultan Al Nahyan, a personality that has changed the history of the UAE, a symbol of wisdom, goodness and generosity, not only in the UAE, but also in the Arab and the rest of the world. It would fill him with pride to know that with his wisdom and faith he managed to preserve the Union, an idea and a value that has only deepened with every achievement along the way, overcoming obstacles to reach prosperity. The 47th anniversary of this day is an occasion to renew the pledge to continue the immortal march initiated by the late Shaikh Zayed, and it is also an occasion to pay tribute to a whole generation of parents who offered so much in the Union's long journey, and who did not get shaken or defeated in the face of challenges, but rather went on to help realise the most important achievements of the last century. The late Shaikh Zayed led the march of development towards progress, prosperity and stability, with the confidence of an inspirational leader and the kindness of a loving father. The UAE's remarkable position today is a testament to the fundamental principles the country was founded upon and to the wisdom and vision of the Founding Fathers, who have realised the enormity of the responsibility entrusted in them to lay the foundations of a modern nation. All indicators confirm that our country has achieved record-breaking levels of progress, characterised by a prosperous economy, stable political conditions, modern educational, health, social and cultural institutions. UAE nationals across the country today enjoy the country's stable progress and the high level of services offered in all areas. The country was eager to diversify and develop the various economic sectors such as industry, financial banking, tourism, information technology and renewable energy in order to diversify the sources of national income and reduce its dependence on oil, achieving increased stability and security across the country. The federal state has succeeded in empowering its national human capital which is the main essence for development and the future of the UAE, giving emphasis to the country's cultural identity with its Islamic history, roots, and constitution. Additionally, we must note the progressive status that women in the UAE have reached, with women now working alongside men in all fields, and having the largest representation in parliament in the Arab world. With the support of the leadership, Emirati women have entered most areas of work, proving their efficiency, ability and achievements. Furthermore, independent statistics and studies indicate that the UAE occupies advanced positions in many international development indexes. It has ranked first in the world in more than 50 global competitive indices in some of the most important reports. The UAE was amongst the world's top ten in 31% of global competitiveness indicators, and maintained its position in the top 20 global competitive economy for the fifth consecutive year in The Global Competitiveness Report 2017-2018, surpassing advanced economies such as France, Belgium, Australia, South Korea and China. The hassle-free business incentive measures announced by the UAE Government in order to facilitate business procedures and reduce costs is an important and strategic step that serves all sectors in the country, and various stakeholders. Just days ago, we added a new accomplishment to our remarkable list of national achievements, with the launch of KhalifaSat. Our country is also preparing to host an important international event - Expo 2020 Dubai - making it the first time for the world expo to be held in the Middle East, Africa and Southeast Asia, MEASA, region. The UAE is a country of friendship and peace, love, fraternity, tolerance and harmony. The best evidence of this is what we see and hear from the hosting of countless international exhibitions, festivals and sporting competitions across the country, and is also reflected in the way UAE nationals are welcomed all around the world. Our country has gained the respect and appreciation of the entire world for its moderate and resolute foreign policy, which is also prudent and balanced, and one which advocates justice and understanding between brothers and friends in resolving disputes through dialogue. The UAE extended its giving hands without favouritism to any religion, race or sect. UAE foreign aid has reached 178 countries across the world, making it one of the largest international donors of humanitarian aid, housing the displaced and providing food to those in need. In conclusion, and on this solemn occasion, we renew our determination to move forward in the path of unity for building a proud nation. I call upon all Emiratis to be loyal and faithful and to preserve and protect the achievements of the nation through the seeking of knowledge and hard work." 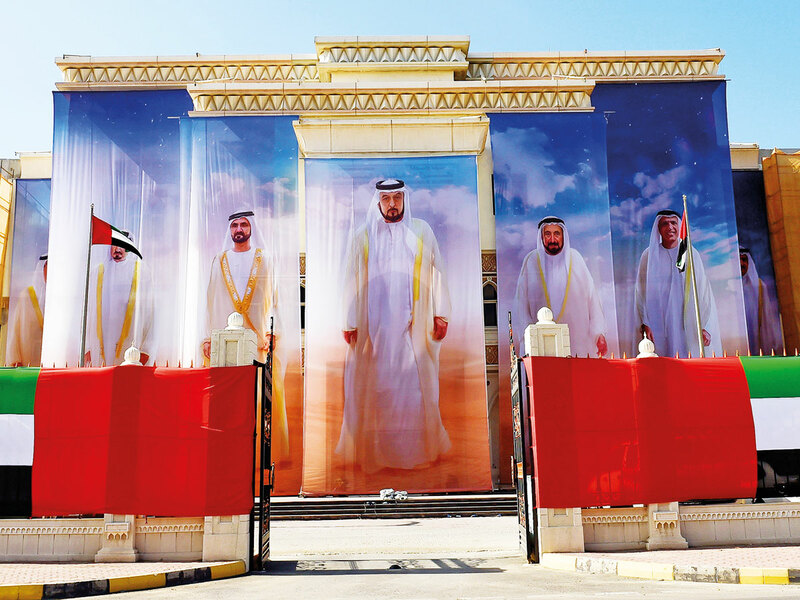 On the occasion of the UAE's 47th National Day, His Highness Shaikh Hamad Bin Mohammed Al Sharqi, Supreme Council Member and Ruler of Fujairah, has said that the UAE has succeeded in presenting itself as an example of growth and prosperity, reflecting the vision of the late Sheikh Zayed bin Sultan Al Nahyan and the Founding Fathers of the union. In a statement provided to 'Nation Shield', the UAE Armed Forces magazine, His Highness rejoiced in the achievements of the nation, saying it is one of the most successful experiences of unification in modern history. "This year, we celebrate the 47th UAE National Day in the Year of Zayed, marking the 100th anniversary of the Founding Father's birth. Under the slogan 'This is Zayed. This is the UAE'; we celebrate the legacy of an exceptional man who founded a nation in one of the most successful experiences of unification in modern history," Shaikh Hamad Bin Mohammad said. "This legacy has been carried forward by Emiratis via distinct accomplishments on the local and global scale, reflecting Zayed's humanitarian values and cultural aspirations," the Ruler of Fujairah continued. His Highness went on to say, "Our celebration, under the slogan This is Zayed. This is the UAE' represents the nation's history, progress and development built by the late Shaikh Zayed bin Sultan Al Nahyan and his brothers, the Founding Fathers, on the values of good, justice and forward-thinking. "Today, under the leadership of President His Highness Sheikh Khalifa bin Zayed Al Nahyan, we continue to carry on these values, and build towards a better future, further enhancing the UAE's standing as a regional and global actor." 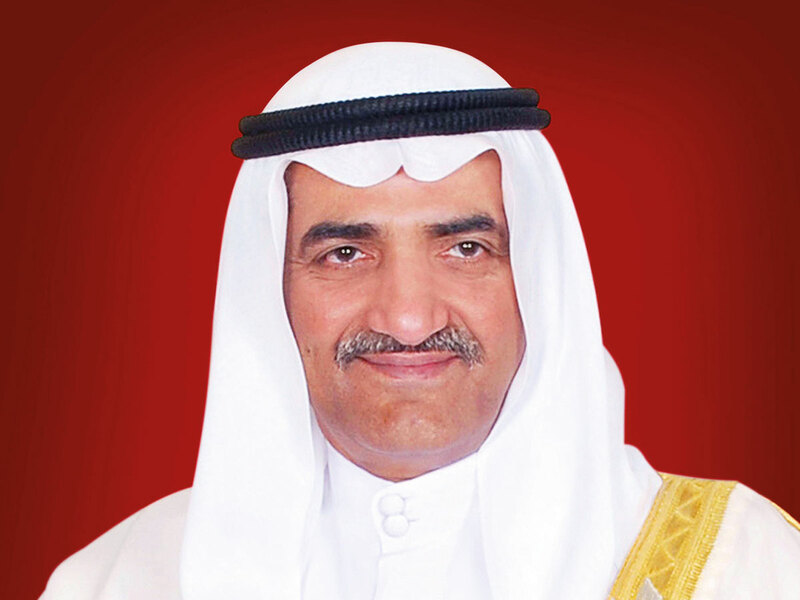 Since its inception, Shaikh Hamad said, the Union represented a visionary urban development project. "In the past 47 years, the UAE has succeeded in presenting itself as an example of growth, prosperity and success, reflecting the vision of Shaikh Zayed and the Founding Fathers. This vision continues today, under the nation's wise leadership, to further enhance our performance, characterised by a spirit of innovation, to attain higher levels of economic growth and cultural development. This is reflected in the nation's standing as a strategic and innovative actor in the global arena," he added. Among these achievements, is the UAE attaining a Passport Power Rank 3' among the most powerful nations in the Passport Index, a pioneering success among the many the country has taken on to advance its position not only regionally, but globally, across all walks of life, His Highness, the Fujairah Ruler, explained. "Celebrating UAE National Day means a celebration of the nation's leadership, its wisdom to prevail, and the sense of pride and belonging to our homeland," he enthused. "On this momentous occasion, we can only recall with pride all the historical moments of the Union and reaffirm our continuous endeavour to advancing the nation's comprehensive development renaissance. We extend our heartfelt congratulations to President His Highness Shaikh Khalifa bin Zayed Al Nahyan, Their Highnesses, Supreme Council Members and Rulers of the Emirates, and all the citizens and residents of the UAE," Sheikh Hamad concluded. His Highness Shaikh Saud Bin Rashid Al Mu'alla, Supreme Council Member and Ruler of Umm Al Qaiwain, has said the UAE has witnessed an overall development in the era of President His Highness Shaikh Khalifa bin Zayed Al Nahyan in people empowerment, improving their quality of life, and promoting knowledge and innovation. 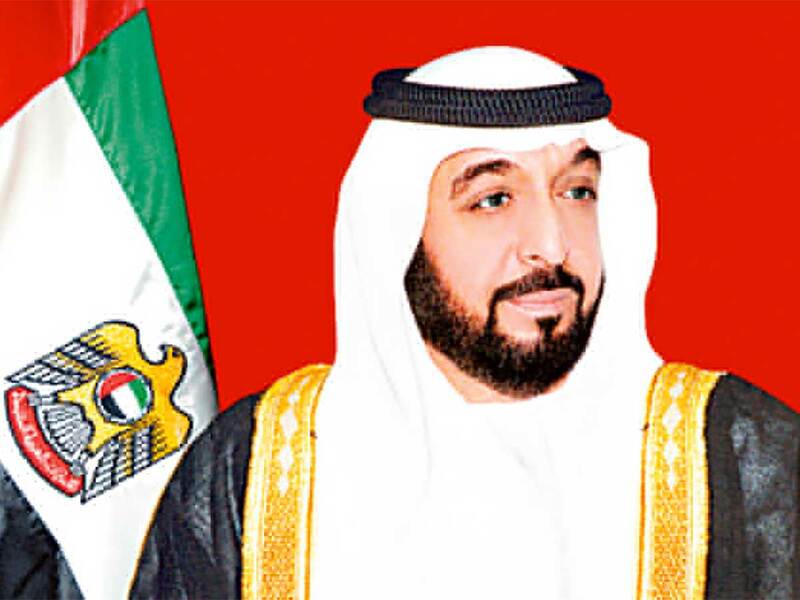 In a statement to the 'Nation Shield' magazine on National Day, His Highness said in light of the vision of the late Shaikh Zayed Bin Sultan Al Nahyan and the Founding Fathers, the country has achieved remarkable milestones in economy, public services, social development, advanced sciences, humanitarian and military fields, and foreign affairs. 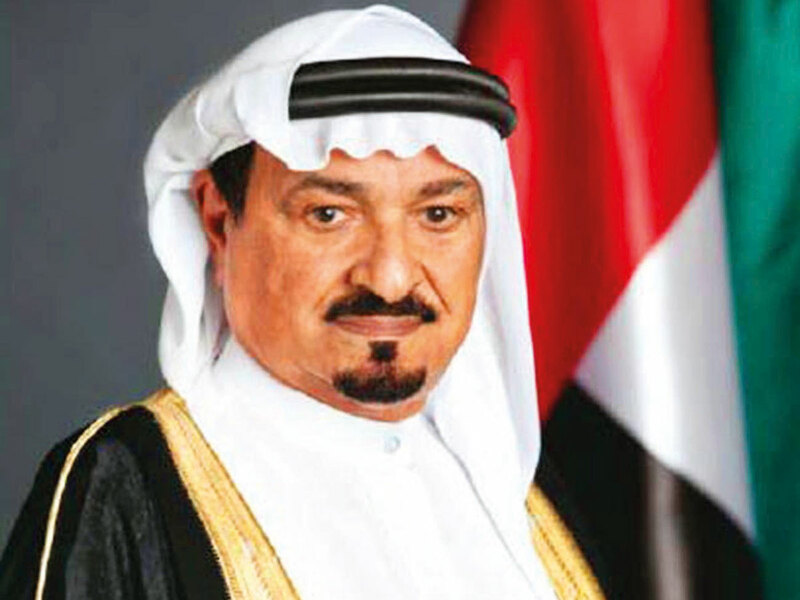 He lauded the national humanitarian and charity initiatives of the Khalifa bin Zayed Al Nahyan Foundation, saying, "President His Highness Shaikh Khalifa Bin Zayed Al Nahyan issued many laws and legislation that reinforced the country's economic stature and were in line with international legislation, which also strengthened ties and partnerships with other countries." He continued, "The country is on road to achieve the UAE Vision 2021, which was launched by Vice President, Prime Minister and Ruler of Dubai, His Highness Shaikh Mohammad Bin Rashid Al Maktoum in 2010, as part of a long-term strategy related to education, health, economy, housing, infrastructure and government services, which also coincides with the 50th anniversary of the establishment of the Union." "In the area of knowledge revolution, space sciences and information technology, we praise the efforts of His Highness Shaikh Mohammad Bin Rashid and the launch of KhalifaSat on 29th October, 2018, which was fully manufactured by Emirati engineers and experts at the Mohammed bin Rashid Space Centre," His Highness noted. "The UAE also launched several initiatives to keep pace with international practices, through establishing a ministry to anticipate the future, and a ministry of artificial intelligence, as well as the appointment of a minister for advanced sciences, the establishment of scientific councils, and the launch of the smart government." On the UAE Armed Forces role, Shaikh Saud said that it has witnessed significant development in the era of His Highness Sheikh Mohamed Bin Zayed Al Nahyan, Crown Prince of Abu Dhabi and Deputy Supreme Commander of the UAE Armed Forces. He added, "Under the directives of President His Highness Sheikh Khalifa bin Zayed Al Nahyan, the Supreme Commander of the UAE Armed Forces, the forces are performing their national role in protecting the country and its achievements. Their role in maintaining peace and security in many parts of the world is notable, including their efforts in the Arab Coalition to defend legitimacy in Yemen." Shaikh Saud concluded, "On this glorious day, we congratulate His Highness Sheikh Khalifa bin Zayed, His Highness Sheikh Mohammed bin Rashid, His Highness Shaikh Mohammad bin Zayed, Their Highnesses Supreme Council Members and Rulers of the Emirates, and our loyal people."